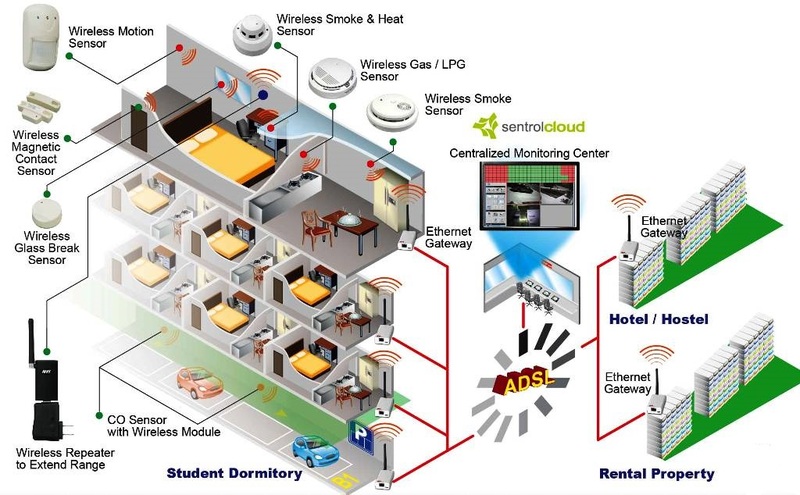 ZigBee’s 2.4Ghz Wireless sensing technology provides you intuitive and reliable safety and security solutions which are ideal for homes, buildings, hotels, motels, offices, student dormitories, rental purpose, or anywhere else. Our ZigBee Security sensors are comprehensive, easy to install and cover a variety of potential security breaches including motion & infrared detection, window breaking and door/window movement monitoring. By using the Ethernet Converter the user can monitor the location through internet.